I have just finished the last core text on my undergraduate degree. It was Sarah Kane’s play Blasted (1995), which seems fitting enough. If the Post War to Postmodern module had gone backwards instead of forwards it would have been Graham Greene’s The End of the Affair (1951). That would have been appropriate too. Now I have a habit of pitting books against each other, so it seems to me that the time has arrived to decide upon the best texts I’ve read on the course in my final year. Each semester will receive its own competition, and there will be five books in each. In this post I’ll list my nominations for the first semester; next week I’ll reveal the winner and post the nominations for the second semester; the week after that, I’ll post the winner of the second semester and decide upon a very special additional title: the best book of my entire degree. This technique of thinly spreading insufficient material is known in the business as ‘Peter Jackson’s The Hobbit Approach’. I should point out, as I did before, that it is not unfair to compare a novella to Paradise Lost. The heart wants what it wants. I’ll try to explain my winning choice in a way that makes sense. The more that I think about it, the more I realise what a strange position I’m in. In the past four years I’ve read most of what are currently considered the greatest and most significant books that originate in some way from the United Kingdom. I doubt many people without English degrees can claim that at age twenty-two. Maybe they don’t want to (and in some cases they’d be right). The canon changes but I doubt Chaucer, Shakespeare, Dickens, or Austen are going anywhere any time soon. 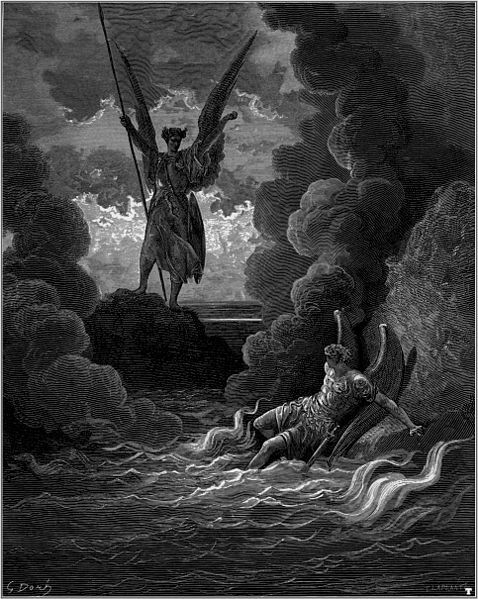 1) Dante Alighieri, Inferno (c. 1308-1321): One could argue (successfully) that Dante was a Florentine and thus not an English writer, but I read him for my dissertation and therefore he makes it on to the list. I even credited him with more contributions to English literature than most English writers, despite not writing in English. Inferno is an incredible journey, the apex of a tradition from which we find our image of Hell and its inhabitants. 2) John Milton, Paradise Lost (1667-1674): One of the most stiflingly beautiful poems ever written. Paradise Lost is an incredible slam dunk for the English language, and even its faults are so fascinating that they really don’t fault it much at all. But Books I and II are still the best. 3) Samuel Taylor Coleridge, The Rime of the Ancient Mariner (1789): With Ancient Mariner you don’t just get the finished package. You get all the previous revisions stretching back across the decades from ‘finalisation’ to conception. We see Coleridge toy with Gothicism, paganism, and Christianity as he struggles to understand his own poem — and that means readers are presented with a tough but rewarding challenge when they attempt to scale this baffling ballad. 4) Alfred, Lord Tennyson, In Memoriam A. H. H. (1850): Life, death, God, dinosaurs, Christmas — In Memoriam has it all. The poem is a veritable Swiss Army Knife. Like all the other texts on this list, its power comes from its ambiguity, its refusal to patronise the reader, and its jewellike poetic power. 5) H. G. Wells, The Time Machine (1895): I’m probably alone in putting this small but influential novella in the same list as these other long and stern poems, but I think that The Time Machine has something to offer that isn’t found outside of H. G. Wells. It’s that Fin-de-siècle hope-against-hope, that pessimistic optimism and melancholy search for Utopia that is trapped somewhere between sunrise and sunset. Oh, and the science fiction genre owes so much to this story that it’s almost criminal.